Regardless of your opinion on Suicide Squad, one thing is sure: Margot Robbie killed it as Harley Quinn. 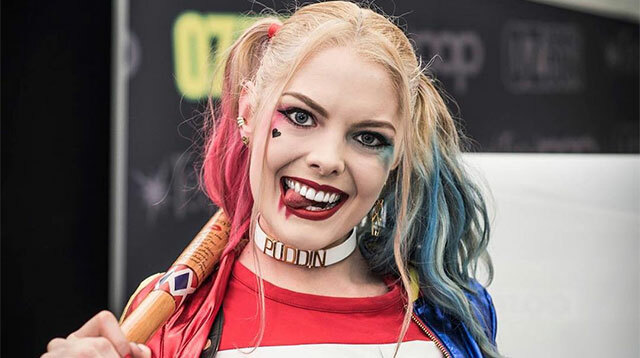 Her portrayal of 'Daddy's Little Monster' has won her praise from critics and fans alike and has inspired a huge amount of cosplay tributes from DC fans. Laura, a 21-year-old cosplayer from Sydney, Australia, honestly looks so much like Margot Robbie's version of Harley Quinn, it’s dumbfounding. According to interviews, Laura has been a fan of Harley since she was in high school, and Suicide Squad only rekindled her inner fangirl. It probably helps, too, that Laura looks a lot like fellow Aussie Robbie even when not in Harley Quinn garb. Let’s just hope that once her makeup is off, she's not as crazy as Harley.